In mid-1995 American poet Robert Creeley spent three months in New zealand as a Senior Fullbright Scholar at the University of Auckland. 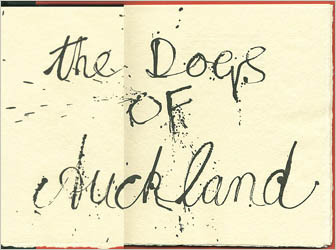 During that time he wrote this poem in eight sections, The Dogs of Auckland, which now becomes the second book he has published in this country, the first being Hello (Hawk Press 1976). 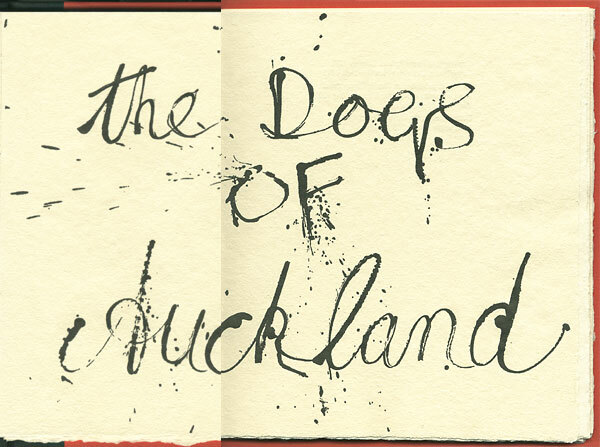 Accompanying the poem are eight drawings by New Zealand artist Max Gimblett, who has been domiciled in New York since 1972. Liking to maintain his links to his birthplace he continues to exhibit his work here, and he visits regularly. 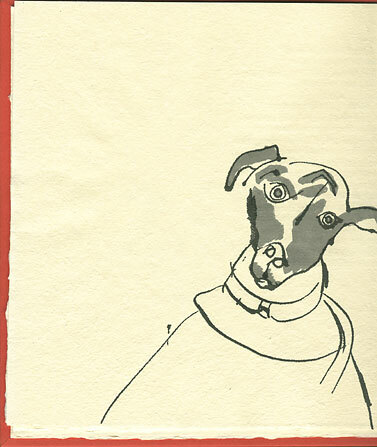 Interestingly, the lines in these poems are longer and more prose-like than in the poet's usual practice, and the drawings are wonderfully figurative, although very freely drawn, for this artist who commonly works in abstract and symbolic forms. 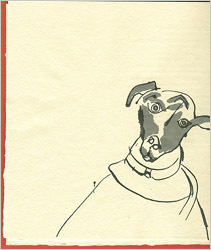 The combined result is one of the liveliest and largest books to be issued from the Press.